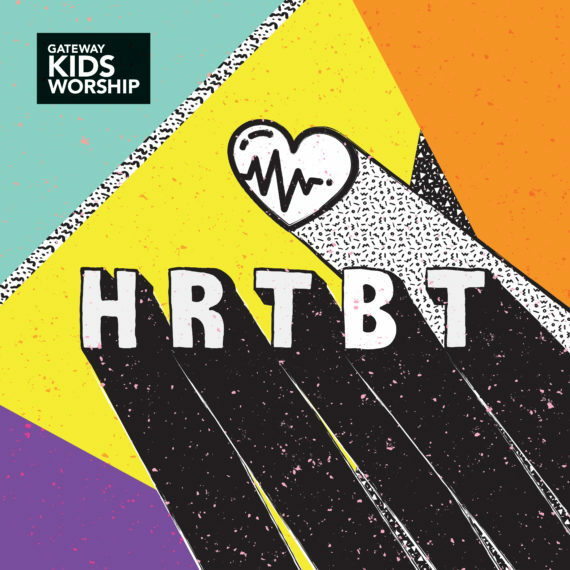 Heartbeat is the debut release from Gateway Kids Worship, the worship expression of Gateway Kids, the children’s ministry of Gateway Church. Their teams lead worship every weekend across multiple campuses in the Dallas/Fort Worth, Texas area for thousands of children every week. Two other Gateway Worship favorites from the Gateway Worship WALLS Live Album are completely reimagined on this project: “Higher Than The Sky” and “You Never Change”. Music production was completed at Gateway Create Studios by Josh Alltop from Gateway Worship Production. Video Production was completed by Gateway Kids Creative led by Paul Trimble. The CD/DVD version includes 6 lyric videos & 6 dance motion videos that families will be able to use on the go or at home!